A few weeks ago, I attended a really uplifting meeting over at Hawks Nest State Park (written about previously here and here) where a lot of smart people really focused on the nuts and bolts of how West Virginia can reach out and use what resources the federal government is making available to help our coalfield communities recover from the downfall of the mining industry. 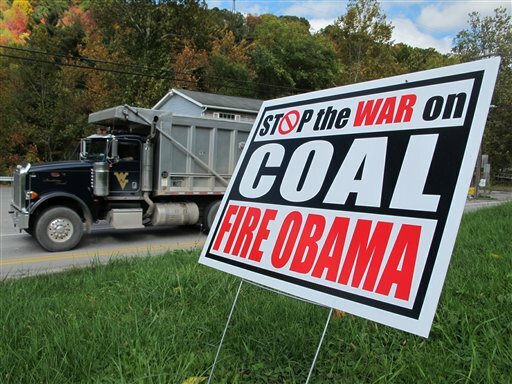 West Virginia’s representatives in Washington don’t sound particularly enthusiastic about the Obama administration’s proposals to funnel nearly $5 billion in various economic aid to coalfield communities that are struggling as the state’s mining industry continues to decline. A spokeswoman for at least one of West Virginia’s five-member congressional delegation — first-term Republican Rep. Alex Mooney — was especially clear when asked if her boss supported President Obama’s “Power Plus Plan,” a collection of budgetary and legislative proposals aimed at diversifying coalfield community economies. “No, Representative Mooney does not support the Power Plus Plan,” Meredith Jones said. You have to hand it to Rep. Mooney and his staff. At least they were up front about where they stand — though I couldn’t manage to get them to provide a coherent explanation of why in the world a West Virginia congressman would oppose money to help the communities in his district. While Senator Capito welcomes any investments that help distressed communities and create lasting jobs, it’s important to remember the catastrophic effects this administration’s proposed regulations have had on West Virginia. The administration has instituted sweeping regulations that have destroyed our economy’s very foundation without considering the real-world impacts, and funding alone won’t fix that. Most of this line of thinking, of course, ignores the fact that much of the Southern West Virginia coal industry’s woes have more to do with geology and economic competition than they do with environmental regulation, and simply perpetuates the false notion that if we can just hold off until Obama is out of office, the next coal boom is right around the corner. (For more about this, see the excellent blog series underway here and here by Jeremy Richardson of the Union of Concerned Scientists). I think right now the Senator needs to see more of the details in the plan. I know there are good elements and bad elements, but one specific the Senator is eager to see is how the Administration is going to deal with the reality that coal will be part of our energy portfolio for the next 30 years. Seriously? Does Sen. Manchin really not yet have details of President Obama’s budget proposals? They were announced in early February. It’s hard to imagine that the late Sen. Robert C. Byrd would still be waiting for someone to give him details for a proposal that promised nearly $5 billion in help for struggling coalfield communities. We hear a lot of talk about how the change in party leadership at the Legislature is taking West Virginia in all sorts of new directions. But how is the attack on prevailing wage by the new Republican leadership any different from the attack on workers compensation benefits (see here and here) carried out by Democrats? 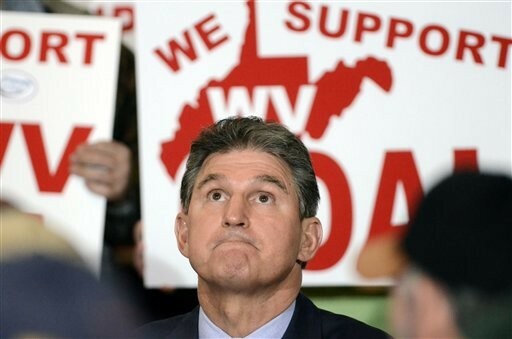 Is it really one party or the other that’s been running West Virginia for all these years? During that meeting at Hawks Nest in June, White House official Jason Walsh made the great point that, while the debate about what’s killing coal will continue, the administration had hoped that everyone could come together around these proposals to help struggling communities. And there’s simply no question that many of the things that our state can do to help coalfield communities — like education and infrastructure improvements — would be good for those communities even if some other coal boom miraculously appears. Sure, coal will remain in the energy “mix” for decades to come, but probably not on a scale nearly as grand as before. Waiting is not a wise strategy. But really, the cause is beside the point. All the debating and finger-pointing is in fact a smokescreen for what West Virginians really need to be worried about: the future, and what opportunities are coming that can sustain our communities for the decades ahead. So maybe if West Virginia leaders aren’t willing to just put down their shovels, they might help us get out of this hole by taking a break now and again from digging so they can help do a little climbing. This should be required reading for every registered and soon to be registered voter. I sincerely hope the Gazette gives you healthy bonuses for such writing. It would seem that some have lobbied to get way more help than others. 3)Ensure solvency to the UMWA health and retirement fund through legislative reforms and new investments. The formula for transfer of funds to the UMWA 1993 Health Benefit Plan will be revised to consider all beneficiaries currently enrolled in that health care plan. This revision will also consider all retirees who were denied benefits during the Patriot Coal bankruptcy proceeding in 2012. Funds would also be transferred to the Pension Benefit Guaranty Corporation to protect long-term solvency of UMWA pensions. Transfers will continue until the plan is fully funded. Perhaps you could explain (with links to any data or analysis you rely on) why members of Congress would oppose ensuring the solvency of coal miner pension and health-care plans. You mean the solvency of UMWA health and pension fund? Number three of the “Power Plus Plan” pretty much sums it up Ken. Most miners today aren’t union. By calling it the “coal miner pension and health-care plan” you give the impression that it’s all inclusive. Not so. What do the “smart people” envision as the economic driver(s) to help coalfield communities recover from the downfall of the mining industry? What’s going to produce the real jobs and revenues on a scale sufficient to replace coal and reverse the economy of our coalfield communities? Seed money might be a good thing, if (and only if) its spent wisely. Shouldn’t our elected officials be leading the way to invest $5 billion in federal aid? That doesn’t explain why political leaders should oppose ensuring that the UMWA pension and health-care plans are solvent. Making those plans solvent doesn’t do anything to boost or protect my pension or improve my family’s health-care coverage. But that doesn’t mean I should oppose ensuring that their plans are protected. Just saying five billion coming in to an area by its self sounds impressive. But what formula will be used to tranfer funds? Where will the funds come from and who will ultimately pay for these funds? The problem comes when we paint with a broad brush statements like “coal miner pension and health-care funds”. Why many might believe everybody who’s ever worked in the mines may benefit. When in truth, those who have supported this present administration have more to gain by this deal. I’m not saying that these funds wouldn’t or couldn’t be used to help an area that is in dire need. What I’m saying is it must be fairly and truthfully presented. That is why I believe some in Congress would never support such a plan. And then there is always politics. You keep moving the goal posts, Steve … your initial comment said you could understand why members of Congress would not support the Obama proposal, and cited its efforts to ensure solvency for the UMWA health-care and retirement funds as the reason. I asked you why members of Congress would not be supportive of making sure those health-care and pension plans were solvent. You still haven’t answered that, and I’ve given you a couple of chances. Further, your suggestion that somehow the White House or the administration — or some other, unnamed persons — are misleading your and everyone else about these pension and health-care proposals is flatly false. Our stories, and the administration’s materials have been very clear about what this is. “Part of Obama’s proposal would address funding issues with the union coal miner health-care benefit program and growing concerns about the United Mine Workers union’s 1974 Pension Plan, which covers about 100,000 retired miners and their families but has been facing financial instability because of losses during the financial crisis in 2008 and 2009 and because of the dwindling number of mine operators paying into it. The Budget includes legislative reforms to strengthen the health care and pension plans that provide for the health and retirement security of over 100,000 retired coal miners and their families. Currently, the Department of Interior’s Office of Surface Mining Reclamation and Enforcement (OSMRE) makes annual transfers to three health plans administered by the United Mine Workers of America (UMWA) Health and Retirement Funds to provide benefits for retired coal miners and their families whose employers no longer contribute to their plans. The Budget revises the formula for transfers of funds to the UMWA 1993 Health Benefit Plan by taking into account all beneficiaries enrolled in that health care plan as of this proposal’s enactment. The Budget further accounts for those retirees whose health benefits were denied or reduced as the result of a bituminous coal industry bankruptcy proceeding commenced in 2012. Additionally, the Budget would transfer funds to the Pension Benefit Guaranty Corporation (PBGC) for the purpose of protecting the long-term solvency of the 1974 UMWA Pension Plan and Trust (1974 Pension Plan). The 1974 Pension Plan is significantly underfunded and approaching insolvency. Transfers would continue until that Plan is fully funded. The 1974 Pension Plan covers approximately 100,000 mineworkers and their families. The UMWA Health and Retirement Funds collectively pay about $1 billion per year in health and retirement benefits to health care providers and families in all 50 states, with the majority of benefits flowing to Appalachian states where coal mining job loss has been most severe. The stories and the administration’s materials have also explained where the money is coming from for the $5 billion package and also explained how the money would be distributed. Frankly, if all you’ve got are vague allegations that someone is misleading you — allegations that are clearly false — and you can’t explain in some reasoned way why a member of Congress should want the UMWA pension and health-care plans to NOT be solvent, then you just don’t have much of an argument here. It seems like the critics of the plan believe that by defeating it, somehow they will have scored a victory for coal. I see this as an opportunity for communities experiencing the coal bust to cushion blow and possibly revitalize their local economy. And I believe that this is a one-time chance. Two or three years from now, the national spotlight will be on some other issue in some other place, and if coal communities don’t get this funding now, the region will be in worse shape a few years from now with even more miners fighting to keep pensions and healthcare benefits, county populations declining more rapidly, and reclamation and cleanup efforts coming to a standstill. Defeating this plan won’t help the coal industry, and helping it succeed won’t hurt the coal industry. Why not seize the opportunity? I’m reminded of West Virginia during the Great Depression. Fearing New Deal spending programs, the WV legislature amended the constitution to prevent any deficit spending, and as a result, WV was not able to come up with matching funds required by some New Deal programs and lost out on a lot of federal funding that went to help other states. One of the main objectives of this new plan is economic diversification, and almost everybody would agree that that is a good thing. The times that people have opposed economic diversification, they had one objective in mind: to consolidate their power and their control. I believe that we are seeing something similar unfold in response to the proposed plan, and I believe that we the people will pay the price. I believe this is one of those crossroads moments, and I pray that we make good decisions. Ken, Many companies today (including the one I worked for) have switched their under sixty five retirees to the exchange or Obama Care, because of cost. It would make since for the UMWA to do likewise, and put the savings towards pensions. I frankly believe that there are some in Congress who look at this deal and say, “if we fund this pension and health-care fund 100% thru the Pension Benefit Guaranty Corporation then who will be next”? Anyone else who has a defined pension would be lucky to get 50 to 75% of their pension back thru PBGC if theirs goes belly-up. The legislative fix for the UMWA 1974 pension fund isn’t funded through the PBGC, it is funded from an already-existing appropriation that sends money to states to clean up abandoned mine lands and helps pay for retired miners and widows health care. The legislation is, in fact, the least expensive option to the government and taxpayers than any other path, including doing nothing. If no action is taken, the Fund will become insolvent and then will be put onto the PBGC at a cost of some $4 billion. That will be enough to crash the PBGC entirely. Fixing that would be much more expensive than the cost of the current legislation. Great read…every resident in the state of West Virginia should read this as well…and for the record, there are numerous industries that, if the legislature of our state would embrace and endorse, could transition our economic dependency on fossil fuels into opportunities in renewable resources. Such as wind energy, (with our state’s mountainous topography is a good fit), or the hemp industry. And I’m not referring to the legalization of marijuana, (though that is yet another viable industry that we are naturally suited for in this ecosystem), but more so industrial hemp production. Which is a crop that is renewable yearly and is a very useful and lucrative product in the paper, cooking, textile, and health and beauty industry. We just have to be willing to accept that the coal industry is faltering and embrace another (preferrably non-environmentally impactful and infinite) industry. Pittsburgh used to be The Steel City but around 20 years ago we started importing steel from China much more cheaply than we could ever manufacture here (thanks NAFTA) yet the region survived, flourished even by reinventing themselves and diversifying their economic and industrial portfolio so to speak. They are now the leading educational city in the country and are more economically healthy than in their long history. So it can be done but only if we choose to do so and make some bold steps in the right direction and take advantage of the opportunity that presents itself, even if that opportunity is cloaked in the misfortune of the end of the coal era.